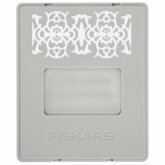 Works with all AdvantEdge™ and Standard Interchangeable Cartridges. Includes a standard cartridge adaptor. Includes the AdvantEdge™ Cartridge Flower. 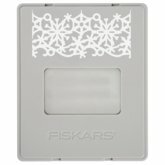 Also works with standard Fiskars® Interchangeable Cartridges (Cartridge not included). 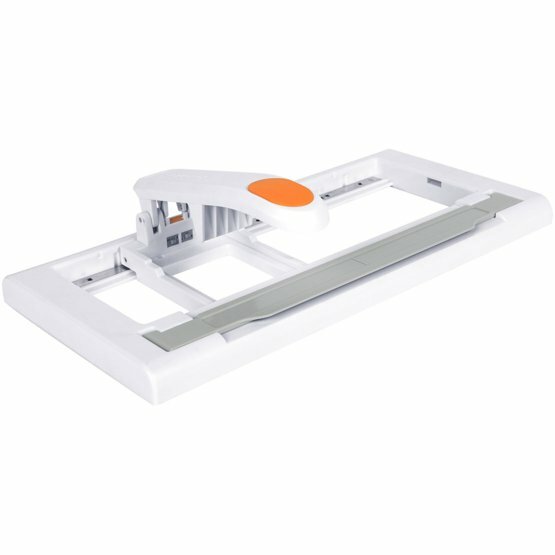 Starter set includes: one base, one AdvantEdge™ cartridge and one adaptor. 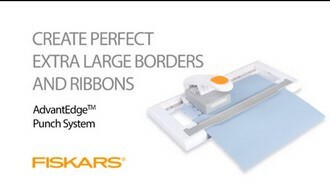 Slide-and-lock technology holds paper while punch cartridge slides from one lock-in slot to the next for a perfectly aligned border or ribbon. 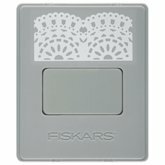 Interchangeable punch cartridges (sold separately) make it easy to add a different border or ribbon to your next project. Largest border punch on the market punches deeper designs and larger shapes. Magnetic paper clamp holds paper firmly. Spring-action handle makes punching easier than traditional border punches. 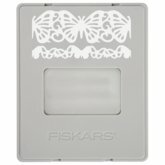 Available in two punch styles: borders and ribbons. 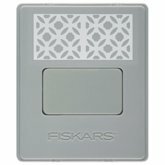 Accommodates Fiskars® standard-size interchangeable border punch cartridges when used with the adaptor.